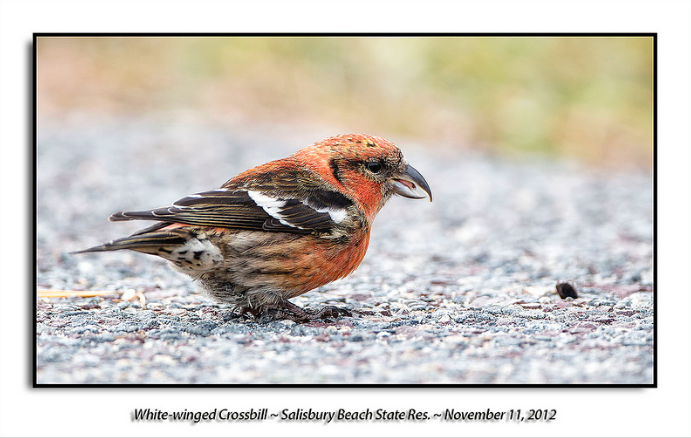 White-winged Crossbills can eat close to 3,000 seeds in a day. How can one bird get access to so many seeds? It’s the structure of this bird’s unique crossed bill that aids them in obtaining seeds. Physical adaptation allow the White-winged Crossbill get at seeds from pine cones that other species with ordinary bills just can’t. What at first appears to be an odd bill abnormality is an extremely advantageous adaptation.